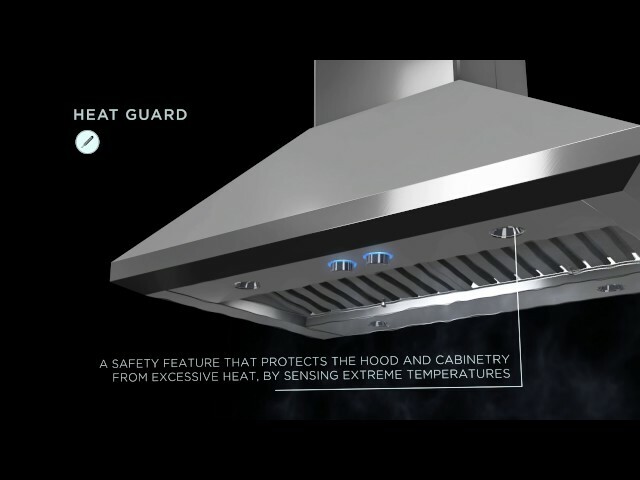 Professional grade hood with a robust and minimalist at once hood design, that´s only 8" tall. The design is complimented by a stylish beveled front rim design and metallic rotating knob controls that fully recess Out-of-Sight for a super slim appearance. Plus Elica´s branding is hidden for easy coordination with other appliances. VAVANO has the extra depth to 24" and 600 CFM´s power to support professional ranges and cooktops. Entertain and enjoy the conversation, knowing Elica´s patented HUSH Sound Supression System is reducing sound up to 35%. Easy maintenance and a cleaner kitchen are assured with long life LED lighting plus professional stainless steel baffle filters.